(May 2017) A group of students from North Ridge Middle School in North Richland Hills, Texas competed in the Global Finals for Destination Imagination, a program dedicated to teaching students skills needed to succeed in school, their careers and beyond. 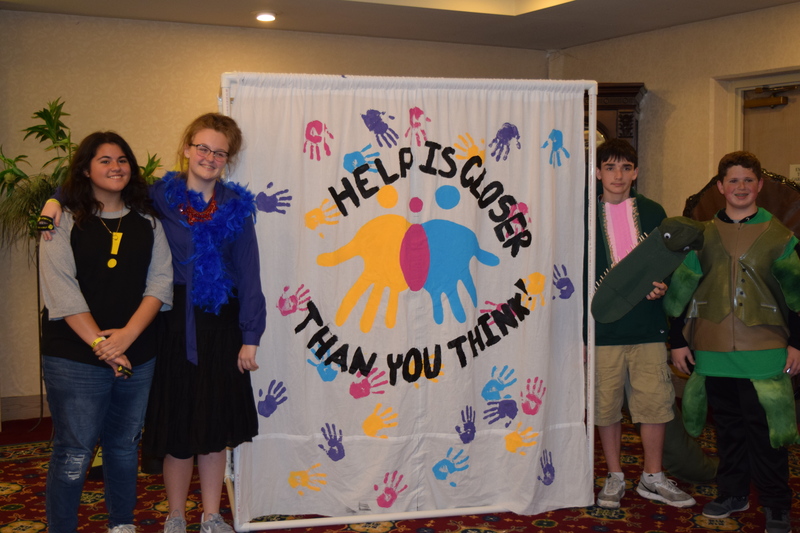 Early in the school year, the students decided to focus their Destination Imagination presentation on Safe Place, calling it "Help is Closer Than You Think." The story is about a turtle named Sheldon who was being bullied by Crunch the crocodile. Crunch would often push Sheldon down in the mud, leaving him helpless. One of Sheldon's friends told him about Safe Place and introduced him to Mrs. Elephante, who managed the program. Thanks to Safe Place, Sheldon learns that his life matters and he gains confidence and courage. At the end of the presentation, Sheldon meets a young crocodile who almost knocks him in the mud. After talking with him, Sheldon discovers the crocodile is being bullied. Sheldon shared with the young crocodile the same advice that a friend once shared with him: Safe Place is here to help. This was the team's first trip to Global Finals and Keri Murrell, the team's manager, described it as "an experience of a lifetime." They placed 38th out of 75 teams at the finals, ending what turned out to be a very successful competition season.